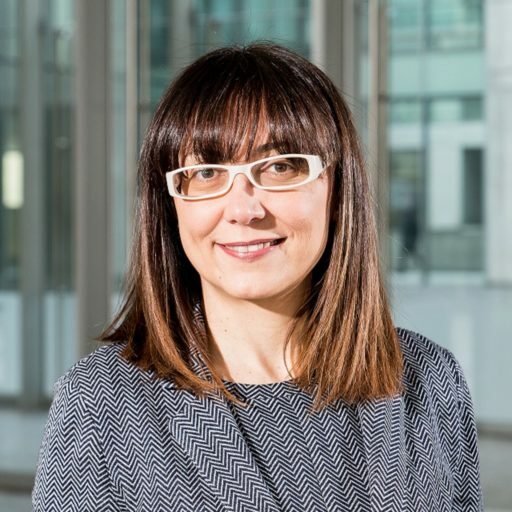 Prof. Arianna Vedaschi ist Professorin für Vergleichendes Öffentliches Recht an der Bocconi Universität. State secrecy provides an interesting viewpoint on national and supranational judicial review standards over counterterrorism measures, since it has frequently been invoked by advanced democracies in the fight against terrorism. Over the last years, the shield of secrecy has consistently concealed abuses perpetrated during intelligence operations, including the controversial practice of extraordinary renditions (ERs), carried out around the world by the US jointly with several European countries. What is more, state secret privilege has often been claimed during criminal proceedings. Therefore, essential evidence of serious violations of human rights has been shielded by the privilege, promptly invoked by governments involved in ERs and in other counterterrorism operations. As a result, such criminal cases have been dismissed. From the Italian perspective, the leading case on the matter is the Abu Omar affair. Nasr Osama Mustafa Hassan (known as Abu Omar), an Egyptian born imam to whom Italy granted political asylum, was targeted by an ER in Milan, while he was under investigation due to alleged ties to a terrorist cell. In 2003, he was abducted by CIA and SISMI (the then Italian military intelligence agency) agents and rendered to his homeland, where he was subjected to incommunicado detention and tortured. Following a complex investigation led by the Public Prosecutor of Milan, in 2009 the Tribunal of Milan convicted, in absentia, twenty-two CIA officers and one US Air Force colonel for Abu Omar’s kidnapping, but acquitted three US citizens because of diplomatic immunity. More importantly, it was forced to dismiss all charges against five Italian agents involved in the operation, as they invoked the state secret privilege, promptly confirmed by the head of the Italian government, i.e. the President of the Council of Ministers (PCM). According to Italian law, specifically Article 1 Law 124/2007, only the PCM is vested with the power to resort to the state secret privilege. Therefore, when, during a criminal trial, defendants (in the case at hand, Italian SISMI officers) claim state secrecy on evidence, the judicial authority has to ask the PCM whether such information has been effectively classified as state secret (see Article 202 Code of Criminal Procedure). Neither public prosecutors nor judges can use, directly or indirectly, information and material covered by the privilege. As a result, if such evidence is of crucial importance, the case will be dismissed. However, when judicial authorities disagree with the PCM on the secrecy issue, the Constitutional Court is called to solve the dispute between executive and judicial power (so-called conflict of allocation of powers, see Article 134 Italian Constitution). In the Abu Omar case, the use of state secrecy led to seven conflicts of allocation of powers, decided by the Constitutional Court always in favor of the Italian executive (i.e. of the PCM). In particular, the Constitutional Court’s decision 106/2009, settling the dispute between judicial authorities and the PCM in favor of the latter, forced the Tribunal of Milan to dismiss the case and acquit Italian intelligence officers, as mentioned above. In the meantime, both the Public Prosecutor and convicted defendants challenged the decision of the Tribunal of Milan before the Court of Appeal of Milan, which upheld all convictions. However, due to the Constitutional Court’s decision 106/2009, Italian SISMI agents were again acquitted and their case dismissed. Hence, a ‘curtain of secrecy’ was dropped on the events. On this specific point, the General Prosecutor of the Court of Appeal challenged the second instance court’s decision before the Supreme Court of Cassation (i.e. the Italian highest court). The Court of Cassation confirmed convictions of all US agents. However, following an interpretation of state secrecy different from (and stricter than) the one given by the Constitutional Court, it struck down the SISMI agents’ acquittal and referred the case back to the Court of Appeal. This time, due to a different standard of scrutiny on secrecy (recommended by the Court of Cassation), the Court of Appeal reviewed all pieces of evidence, so SISMI agents were convicted for the imam’s kidnapping. Yet, while this proceeding was pending, the Constitutional Court was called to solve a further dispute between the PCM and the Court of Cassation on the use of state secrecy. The Constitutional Court’s decision 24/2014 adhered to the reasoning of judgment 106/2009 and settled the dispute in favor of the PCM, considering the state secret privilege lawfully invoked. As a consequence, the Court of Cassation was forced to acquit Italian SISMI agents and dismiss the case. However, the case was still not over as Abu Omar and his wife lodged a complaint at the European Court of Human Rights (ECtHR) claiming breaches of Articles 3 (prohibiting torture and inhuman, cruel and degrading treatment), 5 (safeguarding liberty and security), 8 (protecting private and family life) and 13 (ensuring an effective remedy) of the European Convention. In 2016 the ECtHR condemned Italy for all the above-mentioned violations and settled its case law on the ERs program (the landmark precedent being the El-Masri judgment, whose findings were reiterated in Al Nashiri and Abu Zubaydah). On the thorny issue of state secrecy the Court of Strasbourg shared the stance of the Italian Court of Cassation and criticized the Constitutional Court’s self-restraint. A comparison between the Constitutional Court’s and the Court of Cassation’s reasoning highlights two different standards of scrutiny on secrecy and very divergent approaches on several key points. First of all, they disagreed on the object of the state secret itself. The Constitutional Court stated that only relations between Italian and US security services had been shielded by the privilege. Therefore, since state secrecy had not been invoked on Abu Omar’s rendition (i.e. a serious crime), it was used lawfully. Yet, the strong link between SISMI-CIA mutual relations and events related to Abu Omar’s rendition prevented the Court of Cassation from endorsing the Constitutional Court’s stance. According to the Court of Cassation, state secret privilege cannot be lawfully asserted on gross violations of human rights as ERs are. Since both the Italian government and the head of SISMI denied their participation in Abu Omar’s ER, such a serious crime was perpetrated by single SISMI agents, who acted on their own initiative and outside of their official duties. Consequently, according to the Court of Cassation, state secrecy had not been invoked lawfully; thus, the case had to be heard again by the Court of Appeal using all pieces of evidence, including those initially classified. Another controversial issue concerns the state secret assertion’s timing. SISMI agents invoked the privilege when the trial was already ongoing, rather than during investigations. Moreover, the state secret was claimed on information already in the public domain, due to the inquiries of the European Parliament and the Council of Europe (see Fava Report and Marty Reports I and II). According to the Constitutional Court, a belated assertion of secrecy should not be disregarded by ordinary courts, irrespective of public knowledge on facts and information. Therefore, although critical evidence was obtained before the secrecy’s assertion, the late invocation of state secret would prevent ordinary courts from using such pieces of evidence. Differently, the Court of Cassation maintained that the lawfulness of the privilege depends on whether classified evidence was obtained lawfully. And, in no way, the privilege can be invoked to shield facts and information already in the public domain (in accordance with the ECtHR and differently from US courts’ stance in the El-Masri case). Particularly, the Court of Cassation denied that the assertion of state secret on facts already known could grant impunity to perpetrators. Therefore, in that case, state secrecy is unlawful and the privilege cannot be lawfully invoked to conceal evidence in a criminal proceeding. Lastly, the two Italian courts disagreed on the interpretation of limits established by Article 39, section 11, Law 124/2007 on the resort to secrecy. In particular, pursuant to section 11, the privilege cannot be used to hide acts ‘against the constitutional order’. The Constitutional Court provided a narrow interpretation of ‘constitutional order’ and stated that Abu Omar’s ER is not an act of subversion of the constitutional system. As a result, in Abu Omar’s case, the limit set by section 11 is not applicable. However, in its reasoning, the Court arguably conflated two different concepts: ‘constitutional order’ and ‘constitutional system’. Instead, these two slightly different wordings bear substantive difference. ‘Constitutional system’ is referred to as a form of government (and the organization and functioning of constitutional institutions), while ‘constitutional order’ (as the Court of Cassation clarified) also encompasses general principles and fundamental values, including human rights, at the core of the Italian constitutional framework. Briefly, the latter encloses the former. On the contrary, the Constitutional Court read ‘constitutional order’ as ‘constitutional system’. As a consequence, the limit of the use of state secrecy was not triggered, because ERs are not aimed to overthrowing the Italian government. In my view, since Abu Omar’s ER is a serious crime, it jeopardizes the Italian constitutional order, so state secret privilege should not have been used, nor its assertion held lawful by the Constitutional Court. In sum, Italian courts’ reasoning shared the same basic assumption: the state secret is tightly linked to the salus rei pubblicae, which includes independence, international personality, territorial integrity and, ultimately, survival of the state. Therefore, as an exception to the general rule of transparency, on which democracy lies, and in order to protect the above-mentioned fundamental values, the head of government (i.e. the PCM) is vested with the power to resort to state secret. Both courts underlined the very political nature of such prerogative. However, according to Article 39, section 11, Law 124/2007: ‘[i]n no circumstances shall information, documents or matters relating to acts of terrorism, acts subverting the constitutional order or acts constituting […] criminal offences […] have a [s]tate secret-status’. In other words, the seal of secrecy shall not be used to conceal crimes, abuses and wrongdoings by intelligence agents. In order to check the resort to secrecy and avoid its misuse, the Italian system provides two kinds of oversight. A political oversight by the Parliament, triggered only if a parliamentary committee specialized on intelligence activities deems the assertion of secrecy unlawful. Such oversight is quite weak, since it is not empowered to change the (possibly wrong) PCM’s decision on secrecy. Indeed, Abu Omar’s case has not been reviewed by the Parliament. The other oversight is judicial. However, since the ordinary judges are not allowed to scrutinize state secrets, the only effective review should be performed by the Constitutional Court. For that reason, the fact that the Italian Constitutional Court abdicated its role is particularly disturbing. In Abu Omar’s case, the Constitutional Court took an excessive deferential approach towards the executive branch, albeit the ER was a gross violation of basic human rights. Instead of scrutinizing the state secret’s lawfulness, the Constitutional Court emphasized the wide discretionary power of the PCM to turn the secrecy issue into a merely political question, so de facto avoiding its duty to assess the secrecy’s lawfulness. This deferential attitude skewed the balance between human rights and national security in favor the latter. Hopefully, the firm stance embraced by the against secrecy and in favor of transparency and accountability will lead the Italian Constitutional Court to change its excessively deferential approach. SUGGESTED CITATION Vedaschi, Arianna: State Secrecy in Counterterrorism: Different Judicial Standards of Review – The Abu Omar Case before Italian Courts, VerfBlog, 2018/5/08, https://verfassungsblog.de/state-secrecy-in-counterterrorism-different-judicial-standards-of-review-the-abu-omar-case-before-italian-courts/, DOI: https://dx.doi.org/10.17176/20180508-133518.